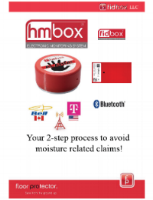 Check out our HMBox informational brochure. This brochure will give you all you need to know about the features and functions of the HMBox. The back cover also features some information about the Fidbox. Download a complete overview of the Fidbox to learn more about its capabilities, where it can can be installed, how to install it, and how to access the data it provides. Get step-by-step instruction on how to download and interact with the Fidbox app. Download a complete overview of the HM Box to learn more about its capabilities. Download this marketing board as a sell sheet when customers are asking about the Fidbox. This board is part of our distribution marketing kit. Use this file to document the placement of the Fidbox(es) for future reference. Best if kept in a work order file. The second sheet is the graph in which to diagram the location. A quick how-to guide on installing the Fidbox app. 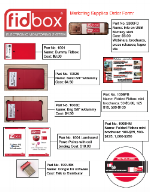 Everything available to aid in the marketing and selling of the Fidbox.